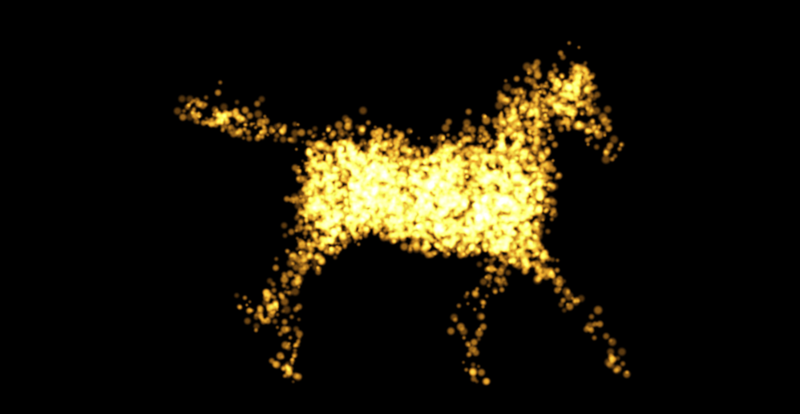 This parameter lets you emit particles from 3D OBJ Models. This allows you to use 3D objects from your favorite 3D applications as the shape of your emitter. The Emitter Type OBJ Model needs to be selected for this parameter to be active. 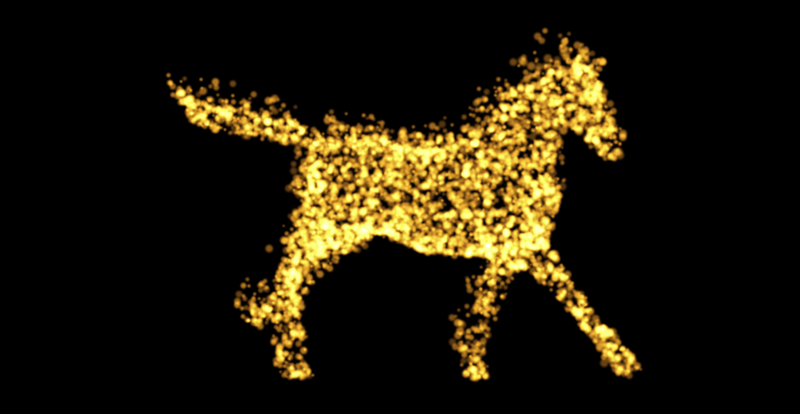 Using a 3D object as an emitter can create some very complex and powerful results, including creating the look of a three-dimensional object being created out of particles. There are two ways to bring in OBJ models. 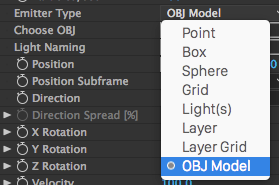 After selecting the OBJ Model option from the Emitter pop-up, you can import an OBJ file (or sequence) with the Choose OBJ button. This opens a window that shows you the OBJ files that are included with Particular. 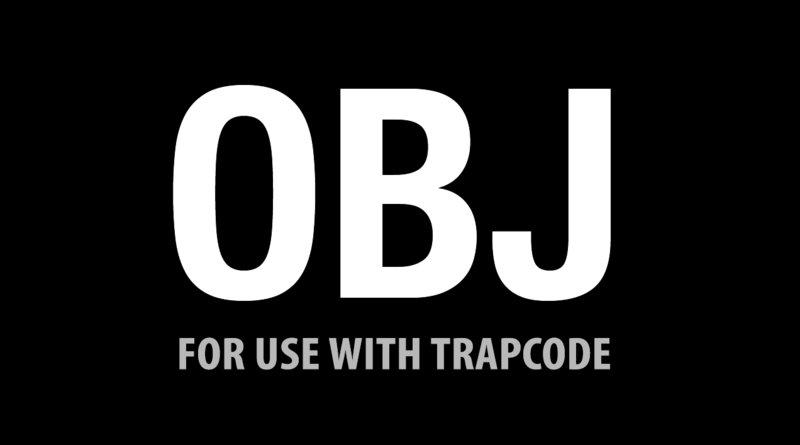 You can also import your own OBJ file from here by clicking the Add New Obj button in the upper right corner of this window. These sample 3D files included with Particular can also be accessed through the Designer by going to Blocks > Emitter Type > OBJs, and then clicking the Choose OBJ button in the Block controls. For more information on the OBJ files included with Particular and this window, consult the Using Presets page. Note that when using OBJ files with Particular (regardless of the method used to import them), the OBJ layer will need to have its visibility disabled in the composition. Otherwise, a warning about the file format may be displayed. OBJ Note Form 3 does not support negative indices (also called relative indices) inside the OBJ file. Indices are used to reference vertices inside the OBJ file. With your Emitter Type set to OBJ Model, the settings in the OBJ Emitter area will become available. 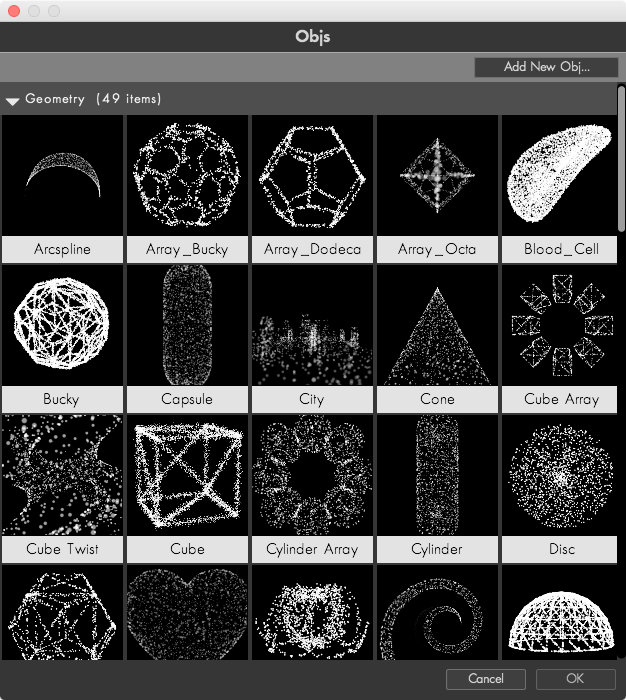 These give you more options for customizing the way your particles look. Once you have imported an OBJ file and added it to your composition, use this menu to choose your 3D model. When you first load an OBJ, Particular caches the animation and then uses that information instead of referencing the OBJ. Once that OBJ cache is built, if any changes in the OBJ are made, you will not see those changes in the Particular animation. If you want Particular to re-cache the animation, click Refresh to refresh your OBJ model. The Emit From pop-up determines which component of your 3D model will be emitting particles. Setting the Emit From pop-up to Vertices will edit from the vertices of your 3D object. 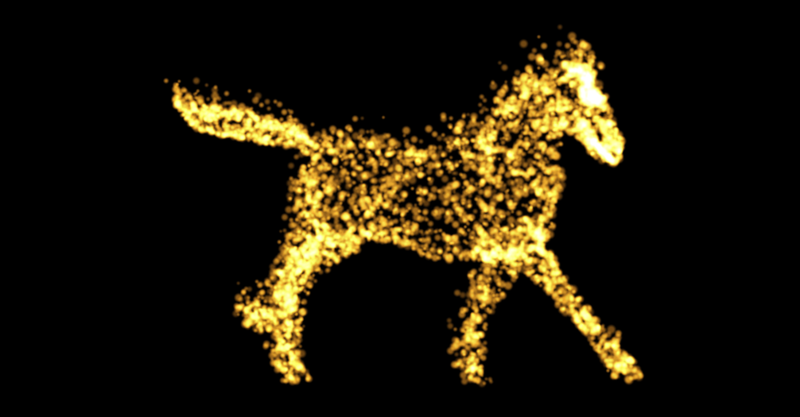 Setting the Emit From pop-up to Edges will place particles along the edges of your 3D object. Setting the Emit From pop-up to Faces will place particles on the faces (i.e. triangles/polygons/n-gons) of your 3D object. Setting the Emit From pop-up to Volume will cause particles to be emitted from inside the object. Normalize scales and moves the OBJ to ensure it is centered around the Emitter position and fits within the bounding box defined by the Emitter Size parameters. If the OBJ is an OBJ sequence, the first frame is used as the reference for the normalization. Invert Z flips the OBJ on the Z axis, turning the object to face forwards or backwards (if located at default values). You can import static OBJ models, or you can import an animated sequence of OBJ files. This creates an animated emitter. There are two parameters that allow you more control when working with OBJ sequences. Controls the speed of the OBJ animation. Higher values mean a faster speed. For instance, Speed at 0.5 equals 50% speed, while Speed at 2 equals 200% speed. OBJ Sequences are very similar to image sequences. A OBJ sequence that lasts 30 frames contains 30 OBJ files that it cycles through. Offset offsets the OBJ frame that the animation starts on. Instead of starting on Frame 0, with an Offset of 3, you will start at frame 3.